When you're going to take the time to create a delicious Eastern European dessert or pastry from scratch, use pure vanilla extract. Artificial vanilla won't do. When I hear the term "vanilla" used to describe everything from software to soup, and meaning default, plain or boring, I'm at a loss. Given its market price, vanilla is a rare commodity, and its depth of flavor ranks it right up there with the finest wines. "We use terms like 'creamy, spicy, woody, floral and fruity' when we taste vanilla," says Beth Nielsen of Nielsen-Massey Vanillas in Waukegan, Ill.
One step inside the plant’s business office and the senses are bombarded with the heavenly aroma of vanilla. Beth and her brothers, Craig and Matt, are the Nielsen triumvirate running the family business started by their grandfather in 1907, which today ships worldwide and has a second processing plant in the Netherlands. Vanilla originated in Mexico with the Totonaco Indians, who were conquered by the Aztecs who, in turn, were conquered by Hernando Cortez. Along with other plunder, Cortez took cacao beans and vanilla pods back to Spain, and the rest is history. Vanilla pods, commonly called vanilla beans, are the fruit of the vanilla orchid, the only orchid plant that produces edible fruit. Because of its shape, and because the Melipone bee, historically responsible for the pollination of the orchid, is found only in Mexico, the orchid needs assistance to produce fruit. "Cortez took the beans back to Spain, but he forgot to take the bees," Craig Nielsen says. At last, Montezuma has his revenge! 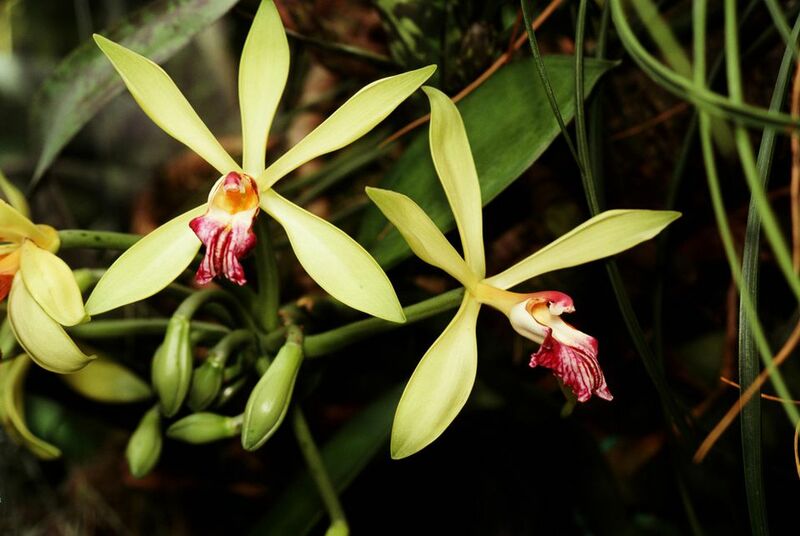 Today, the orchids are grown in Mexico, the Bourbon Islands, Tahiti, Indonesia, India, Uganda, and Papua New Guinea. They are hand pollinated, hand harvested and hand cured by farmers in a process that takes anywhere from 13 to 14 weeks. No wonder vanilla is so expensive!